Allison’s solo quilt exhibit explores the Japanese aesthetic and the many different traditional Japanese textile traditions. Allison is co-founder of Quilt for Change, a non-profit that sponsors art quilt exhibits for display at the United Nations and venues across the U.S. Lowell’s own Richard Howe and Paul Marion have edited a compilation of the best entries and images from the 10-year life of the richardhowe.com blog. 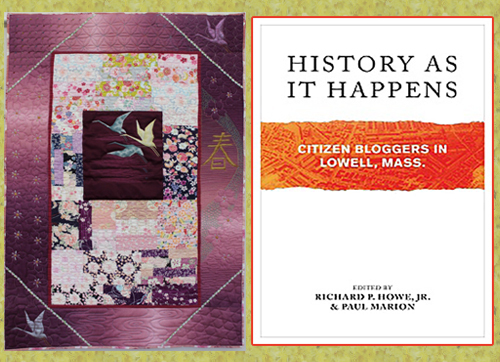 “History as It Happens: Citizen Bloggers in Lowell, Mass,” is published by Loom Press and will be available August 5.